A subsidiary of H.J. Stauble Ltd.
A fully certified state of the art facility, specializing in design engineering, manufacturing, and testing of specialized rigging and lifting gears. We provide all required periodic inspection requirements of wire rope, slings, shackles, chain hoists, chain blocks, winches and ancillary rigging gear. Computerised Pull Testing – for Chain Blocks, Crane Blocks, Air Tuggers, Pendant Lines, Shackles, Lever Hoists, Slings and Winches. Re-certification can be executed onsite – up to 50TONS, or in-house – up to 300TONS. All rigging gear is inspected by competent personnel in accordance with BS, NSL, ASME, LOLER & DNV standards. As an exclusive representative for Integra, we offer specialized equipment, coupled with fully trained and certified technical staff, to carry out a wide range of Bolt Tensioning. Through our enduring partnership with Stabil Drill, we have become Trinidad and Tobago’s leading supplier of Down Hole Drilling Tools. 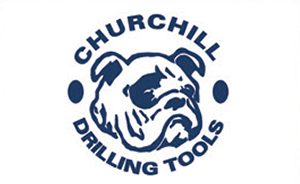 We specialize in Total Tool Management. Workstrings International provides the highest quality downhole rental tubular and associated accessories. Radiagreen is a range of products which covers now almost every segment of the oil and gas industry from seismic exploration over drilling and completion to the production and transportation of oil and gas. Deep Down, Inc. is a leading subsea oilfield services company providing subsea solutions for the world’s energy and offshore industries. A global maintenance and integrity company for oil and gas, power, chemical, nuclear and defence sectors. Downhole Products designs, manufactures, and services application specific casing accessories and cementing tools for the Oil and Gas industries. 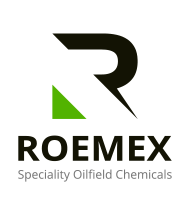 Established in 1984, Roemex is a privately owned international oilfield service company which manufactures and distributes a variety of Speciality Chemicals. These have numerous applications throughout the entire lifecycle of an oilfield from drilling and completions, to hydrotesting subsea infrastructure, production chemicals and decommissioning.